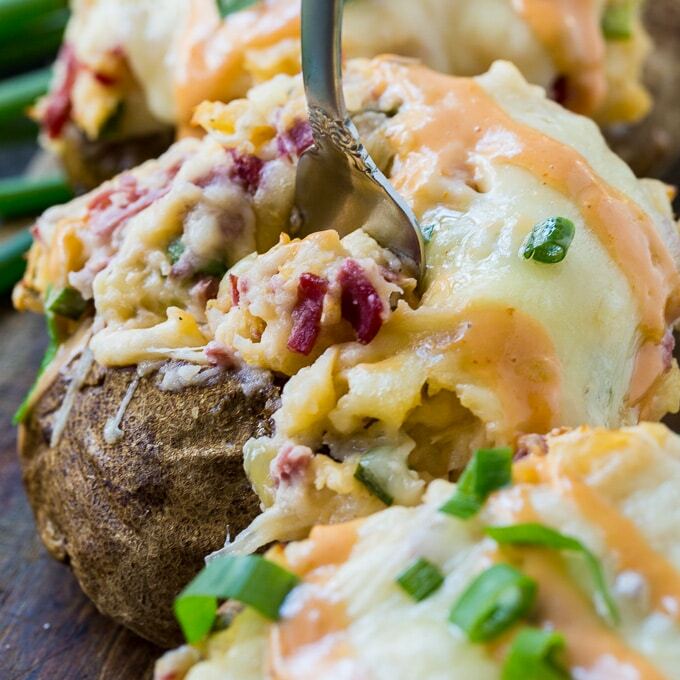 Reuben Potatoes have all the flavor of the classic Reuben Sandwich in a twice baked potato. Chopped corned beef, sauerkraut, Thousand Island Dressing, and swiss cheese are mixed into the filling for a hearty and delicious one dish meal that’s super easy to make and economical too. A Reuben Sandwich is my absolute favorite sandwich and I love making variations of it like these Spicy Reubens, Reuben Fritters, and Reuben Soup. 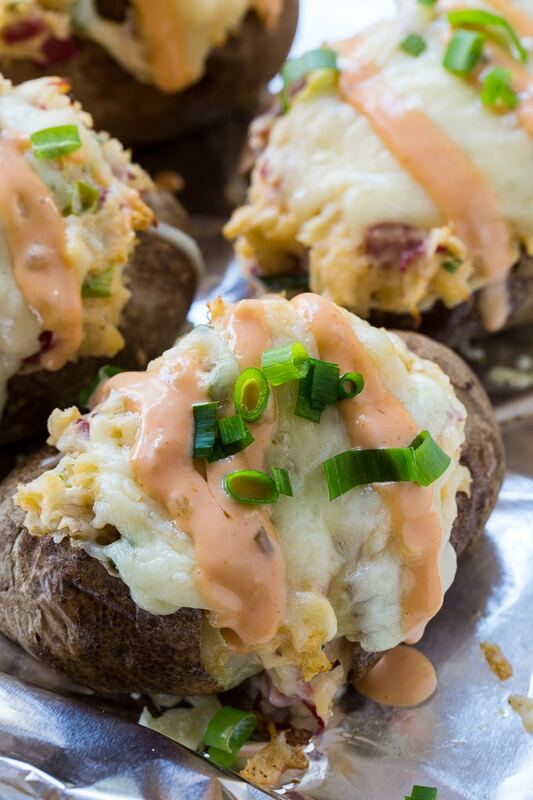 Twice Baked Potatoes are another of my favorite foods. Feel free to alter the ingredient amounts to suit your tastes. Really like sauerkraut? Add more. If it’s not your favorite part of a Reuben, add a little bit less. Likewise, you can add more corned beef. Either Thoursand Island or Russian Dressing can be used, store-bought or homemade. I like to mix the dressing into the filling mixture and then drizzle more on top of the potatoes. It’s my favorite part! 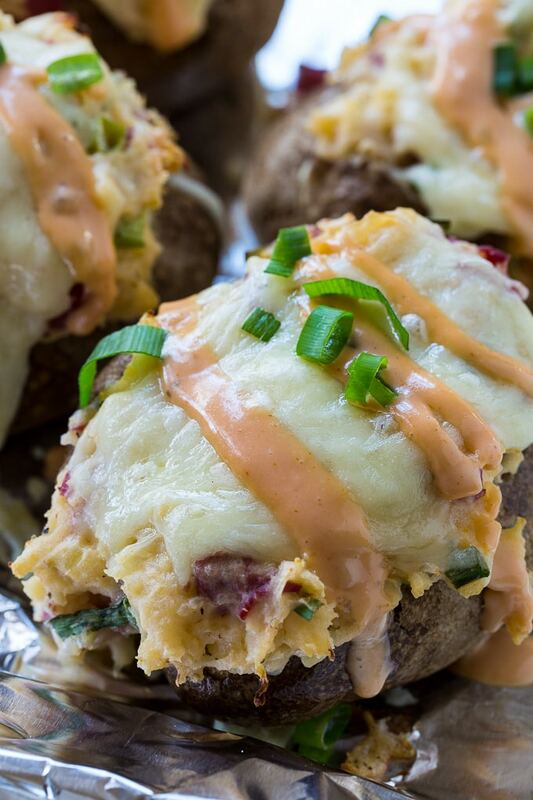 Reuben Potatoes are an excellent way to use up leftover St. Patrick’s Day corned beef! 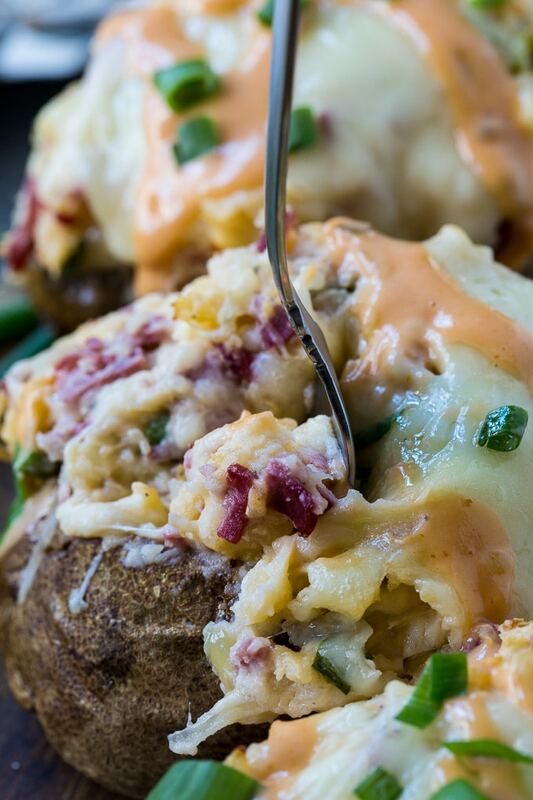 Reuben Potatoes have all the flavor of the classic Reuben Sandwich in a twice baked potato. 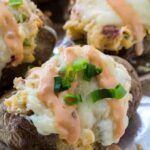 Chopped corned beef, sauerkraut, Thousand Island Dressing, and swiss cheese are mixed into the filling for a hearty and delicious one dish meal that's super easy to make and economical too. Bake potatoes in a 400 degree oven until soft, about 1 hour. Let cool 10 minutes. Remove a sliver of skin from the top of each potato. Scoop out the pulp and place in a large bowl with butter, sour cream, Thousand Island and pepper. Use a hand held mixer to beat everything until smooth. Stir in sauerkraut, green onions, corned beef, and half of the swiss cheese. Taste mixture, and if desired add a little salt. Season inside of scooped out potatoes with salt and pepper. Stuff mixture into the potatoes. They will be very overstuffed. Sprinkle remaining cheese on top. Place on a foil-lined baking sheet and bake in a 350 degree oven for 20 to 25 minutes. Drizzle with more dressing and serve. You Might Also Like This Crock Pot Reuben Dip. This entry was posted in Main Dishes and tagged potatoes, reuben. Bookmark the permalink. Thanks for sharing this recipe. I will try this.